Please join me in welcoming the Etsy Christmas In July leaders who have graciously stepped forward to be Co-Captains of the team! Alicia of AliciasFindings and Mairi of mairisdesigns! 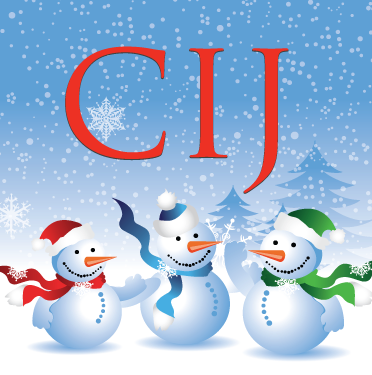 Please take a moment to check out their shops, and share on social media using the hashtag #EtsyCIJ! Thank you! I have enjoyed being the Captain of the team for the past 5 years! It is time for me to move on! I leave you in Alicia’s and Mairi’s capable hands! They are up to speed on what we have accomplished over the years and I look forward to see where they take the team next! We spent the day hearing from a few of our team members, here on our blog, during our Etsy Christmas In July What Makes Christmas Special? Our #EtsyCIJ team is international and it has been wonderful to read how we each celebrate Christmas and holiday time. Thank you so much for joining us on our #CIJWhatMakesChristmasSpecial! 1. What makes Christmas special to you? Spending time with family and friends is what makes Christmas special for me. I love to go out to eat with friends and share some time together as our gifts to each other. 2. How do you make Christmas as special to others? I love to help my family with anything they need. I will help with food prep or even wrapping packages. I also try and get them gifts they have asked for. 3. What are three words that best describe Christmas to you? 4. What are you most looking forward to for Christmas 2018? I am hoping that my uncle can come for Christmas this year as he had to miss last year. I am also looking forward to all kinds of good food.